SACRAMENTO – The State Auditor’s non-partisan report on rehabilitation programs conducted by the California Department of Corrections and Rehabilitation found that inmates who participate in rehabilitation programs have nearly the same recidivism rates as those who do not participate in rehabilitation programs, Assemblyman Tom Lackey (R-Palmdale) announced. “Californians deserve a system that ensures that the hundreds of millions of dollars we spend on inmate programs are effective at reducing future criminal behavior when inmates are released. With more and more inmates being released early, we need to make sure these individuals do not reoffend. 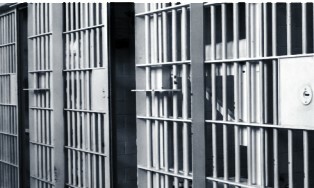 Otherwise our prison system will just be a revolving door,” Lackey stated. Lackey authored a bill last year (AB 1929) that would have called for an evidence-based evaluation of the California Department of Corrections and Rehabilitation’s programs, but the bill died in the Assembly Committee on Appropriations. “I will continue to use my influence in the Committees on Public Safety and Budget to make sure our state provides cost-effective rehabilitation programs,” Lackey said. 1 comment for "State auditor finds that rehabilitation programs have little effect on inmates"
For the most part, it is a revolving door.